As a pet owner, you want to give your furry best friend the best life they can possibly have. Everything from veterinary care to the right brands of food can make a big difference in their lives. With the New Year being just around the corner, everyone is thinking about their resolutions. At Richell, our pet experts have a few New Year’s resolutions you should consider if you’re a pet owner. We strive to create products that you’re pet will love and you’ll feel comfortable using. 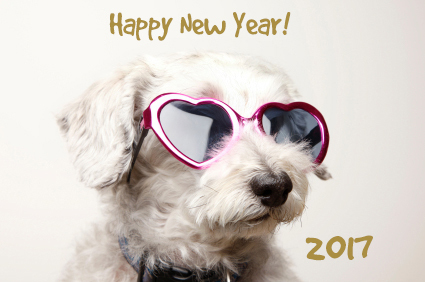 Read on for our pet expert’s ideas and helpful suggestions for the New Year. Depending on your pet, a schedule is often important for them. For example, you might prefer they eat at a certain time or go for walks in the evening. If you keep your dog in a dog crate while you’re at work organization and schedules are particularly important. Keeping them on schedule gives them stability and something to look forward to each day. Organized pet owners love our Pet Stuff Tower and 3 Bin Storage Tower because it allows them to organize their pet supplies and keep track of everything. For many dog and cat lovers, they welcome their pets onto their bed to sleep or even onto the couch to cuddle. While your pet may love this, they need a designated place to nap on their own. Consider buying your dog a dog bed that they can enjoy when they’re tired or need a rest. Our Convertible Pet Bed House is the perfect solution for busy pet owners. It can turn into a little pet house, pet bed, floor mat, and lounge for your dog or cat; whatever fits your pet’s needs and your lifestyle! We all know the pet owners who let their critters run around like crazy and run out the door when someone comes in. It’s dangerous for the pet and can be scary for any guests in your home. 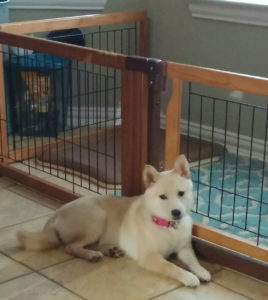 Start using a dog gate in the New Year to keep your pets in a safe area and away from people who might not be pet lovers like you. Pet gates allow them to still be in the same area as you but will prevent them from becoming a problem. If your dog is at home all day without you, it’s likely that at some point or another they’ll have an accident while you’re gone. Prepare for this by using a disposable doggy pad so your pet has a place to go if the need arises. You’ll have less mess and a lot less worry during the day. We create products for pets and their humans, which is you! Our products are built to last and perform well. Buy your furry friend the very best, because they deserve it. Contact us to learn more about our products.